"I want people to leave with a feeling of amazement from great content, personal interactions and a desire in their heart to be better and bigger"
Lynn Johnson is a broker in North Carolina at My Southern View; she’s lived in the state her entire life, but she travels to Inman Connect events frequently, where she builds on her industry connections to create a thriving business back home. Working with sellers who are having a hard time realizing that the market isn’t as strong as it was six months ago. And having to deal with (as an agent) all the ads, “innovative” companies and quick options for selling that don’t include a traditional approach (using an agent). Ads stating that the market is still hot and that there’s more to come. 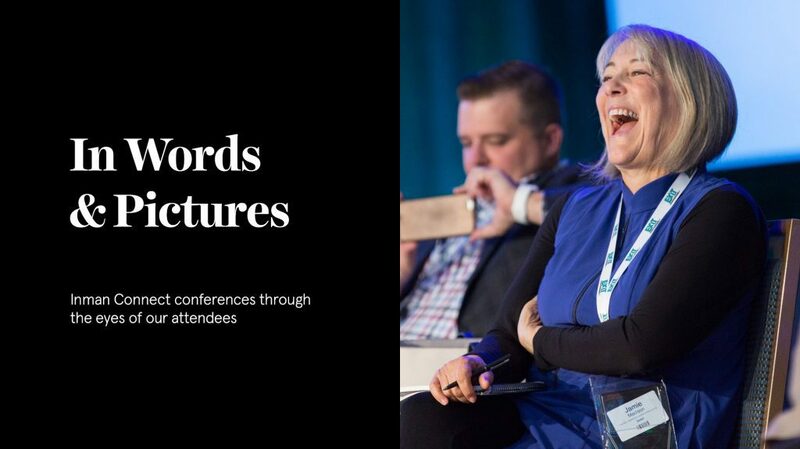 To be a visible source of information for attendees and someone that can make connections that will plant the seeds for deeper conversations that attendees can continue to grow after the conference. I want people to leave with a feeling of amazement from great content, personal interactions and a desire in their heart to be better and bigger than they ever imagined they could be. The people at the conference! I love seeing all the familiar faces from years past and reconnecting with each of them. If we are talking about things outside of the conference and hotel, I love going to Koi at Bryant Park and enjoying the lobster tacos — I will be doing that, for sure! Also, I love heading to Bar 9 on 9th Avenue for a fun night with the dueling pianos! I do love the NYC shopping, too. We are shifting as I type this. Shifting to a more neutral playing field for buyers and sellers. In my market, new construction will continue to lead the way with incentives that will be hard for re-sale homes to match. Re-sale homes will have to price more aggressively to get the exposure a brand new home with all the extras will automatically get.